The Cathedral sits on a site of Christian worship stretching back to the late 6th. century. Construction was started in the mid 13th. century but the building was only complete for around 100 years when the Reformation led to serious damage. The Choir was restored after the Reformation and continues to be used as the Parish church today. The lower part of the tower was used as a court house and its walls have paintings of the judgement of Solomon and the woman taken in adultery – still faintly visible high up on the walls. Now, the choir end of the cathedral is used as a parish church as it has been since the Reformation. Regularly, visitors comment on the sense of peace and prayer in the grounds and within the walls of the Cathedral and worshipping here gives a real sense of belonging to a long heritage of faith and being part of centuries of prayer which local Christians still carry on in this place. Built just a few years before the Telford Bridge, Little Dunkeld takes its name from its location and not its size. It served as the Parish church for the area south of the River Tay and the two parishes (Cathedral and Little Dunkeld) were united in 1974. The building is a typical Presbyterian design with a large pulpit on the long wall and three sided gallery so it was designed very much as a preaching station. It has gone through several alterations in its lifetime, the most recent being a few years ago when some pews were removed to open up the area around the pulpit and to the sides giving it a much more user friendly appearance and allowing for multi purpose use at other times in the week. 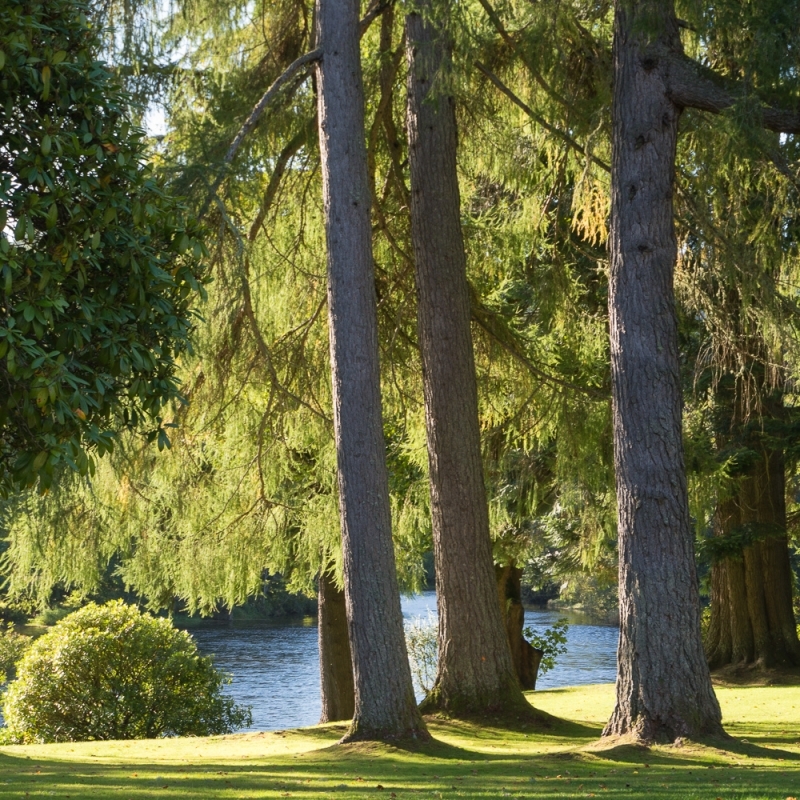 Dowally is situated on the A9 about 4 miles north of Dunkeld and has always been part of the parish of Dunkeld. A lovely little building it was modified by using paneling from the Cathedral after it was renovated in 1908. It also inherited the original organ from the Cathedral which still works today! There are indications that Dowally may well have been a site of pre-Christian worship. Later the Culdees had a chapel or mission station nearby at Kilmorich, probably an outstation of Dunkeld. 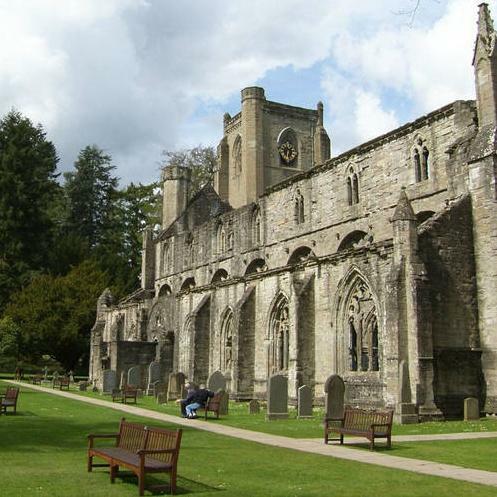 In the late 14th century The Bishop of Dunkeld, Bishop Brown, built and endowed a church, in honour of St Anne. Little is known of this building but by 1755 the church had become ruinous and was then repaired and reseated. In 1797 it was described as “a long, narrow, inelegant structure and very incommodiously seated”. In 1818 the present church was erected, probably to the design of John Stewart, almost on the site of the bishop’s earlier building and incorporating a number of stones from it, including one on the South wall which bears his coat of arms. It seated 222 people and had a gallery of which no trace remains. There have been many alterations since then. The most recent, in 1985, was the rebuilding of the porch which had become unsafe. There is evidence that the belfry and the bell come from a church standing before 1797. The interior is very simple and plain. 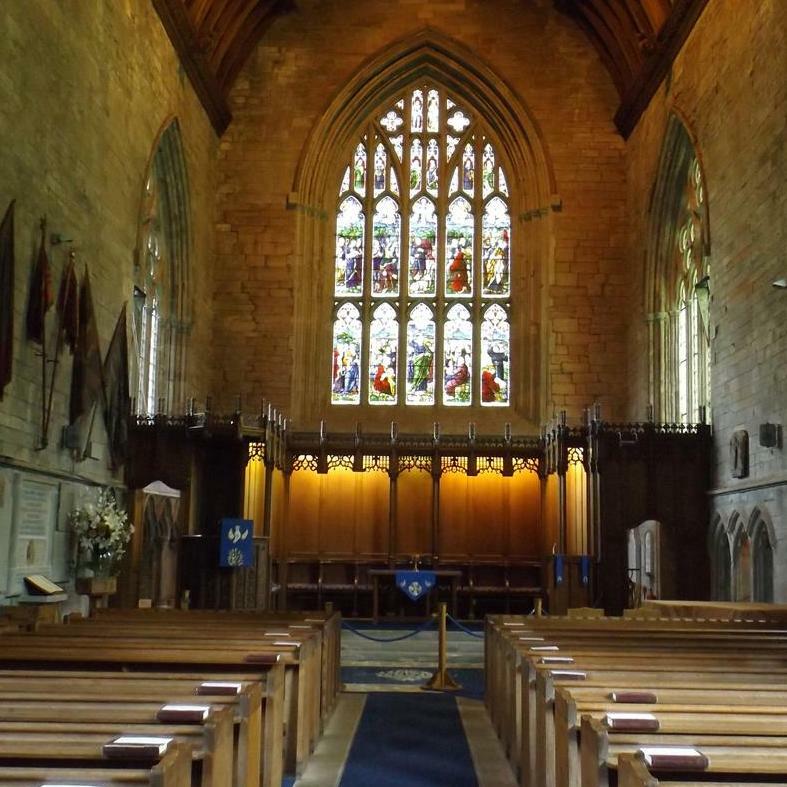 The carved screens in the chancel once formed the screens round the Duke of Atholl’s pew in Dunkeld Cathedral. They were removed at the time of the restoration of the Cathedral in 1909 and installed at Dowally. The organ also came from the Cathedral at the same time. The two North windows have been blocked up and the position of the door in the South East corner has been moved at some time. The existing church is the first to be built on this site, completed in 1752, it replaced the church at Shian, about 3 1/2 miles further up Glen Quaich. It is said that some of the timbers used in the building came from the scaffolding used when Wades Bridge was built shortly before. The building has been altered several times since. The porch and the vestry on the North side have e=been added on and in 1881-82 further improvements were made. In 1958 the West end of the building was remodelled. The Western third was cut off and a separate Session and Sunday school room was created. The gallery above was sealed off and so the space to be heated much reduced. Six large windows in the South wall ensure that the interior is bright and well lit. The stained glass window in the East wall was given in 1905 by the Gray family. In more modern times electricity was connected in 1959 paid for by a legacy from John McDougall, a retired shepherd from Dallick in the Sma'Glen. In 1998 a kitchen was added and a water supply installed by the Kemp-Walsh family of the Garrows. There is a remarkable bell in the bellcote in the West gable. This was cast in 1519 in Mallines in Belgium and is a fine example of the work of William van der Ghein.